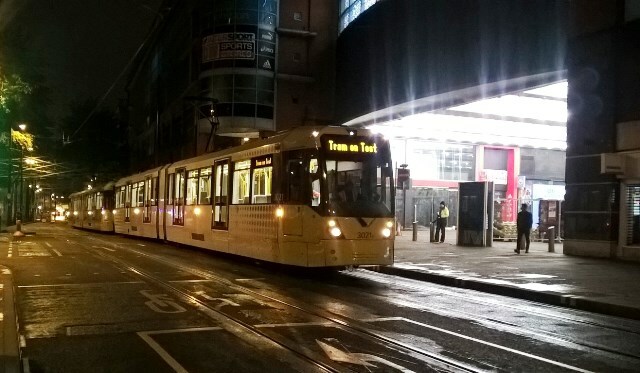 Metrolink has begun testing trams on the new section of the route between the new-look St Peter’s Square tram stop and Exchange Square stop. The transformational Second City Crossing, due to open to passengers early next year, will allow Metrolink to run more frequent tram services through the city centre and across the 93-stop network. The new line – which connects the expanded St Peter’s Square stop via Princess Street and Cross Street with Exchange Square and Victoria Station – will also allow greater operational flexibility and improve service reliability. Anyone who lives in, works in or visits the city is also being reminded to be aware of trams in the area as testing continues in the coming weeks. Transport for Greater Manchester’s Metrolink Director, Peter Cushing, said: “This is an exciting time as we gear up to open this new line through the heart of the city early next year. “After the busy festive period we’ll continue the testing and commissioning process to check all the infrastructure, and ensure drivers undertake training to familiarise themselves with the new route. A major marketing and information campaign is planned early next year to prepare customers for the tram service changes when the new city centre line opens – including the long-anticipated extension of Manchester Airport services beyond Cornbrook to Deansgate-Castlefield. The Second City Crossing is part of the transformational Grow project which is seeing more than £1 billion invested into city centre infrastructure improvements by 2017, including bus priority measures, six new and better cycle routes into the city centre and major rail improvements. The benefits of the Second City Crossing began when the first phase of the line opened from Victoria through to a new stop at Exchange Square in December 2015. Fast-tracked thanks to the European Regional Development Fund, this means a six-minute daytime service runs between Shaw and Crompton, Oldham and the city centre from Monday to Saturdays.